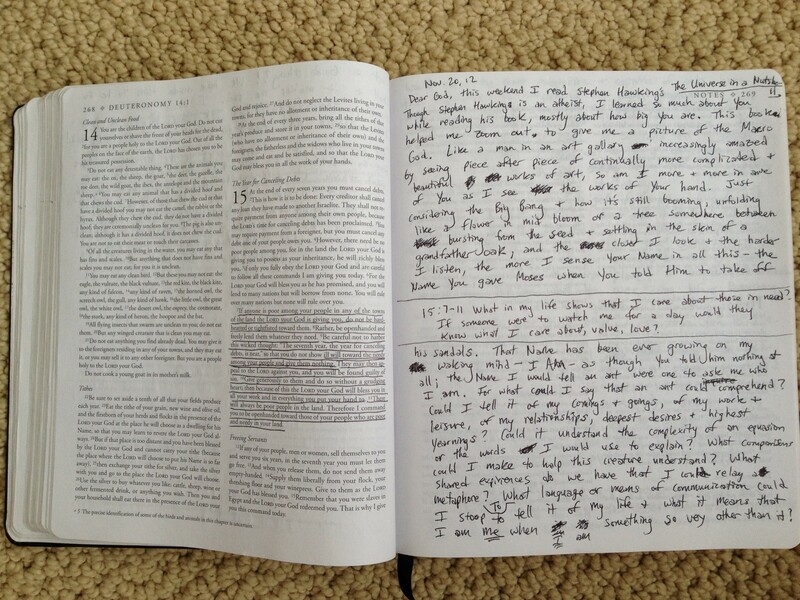 This entry was tagged advice, christianity, communication, faith, father/son, growth, prayer, praying. Bookmark the permalink. Bryant, your suggestion to praying the Psalms is timely as I’m reading them now. Grandpa is en route home now. I know that he had a special time with you & Amanda. Wow, I really hadn’t ever really thought about doing a prayer journal. In elementary school we did this thing where we wrote letters to God so I guess that’s the exact same thing, but it is something I need to do more often. Sometimes I feel like what I’m saying doesn’t really mean anything, or it takes me a while to actually find how to put what I want to say to God into words. Taking the time to make a journal entry and filter what I say to God will be very useful to me and something I definitely should do more often. Reading through Guidepost was the path that brought me to your blog. Do you have thoughts about some particular Psalms that would help a person begin a prayer journey of this kind? Your “gifts” are encouraging, convicting, and thought provoking. I am hoping for 365 of them! The cool thing about the Psalms is that they give a picture of prayer in all kinds of situations–times of celebration and thanksgiving, but also times of trouble and sorrow. In that sense, they’re all worth reading 🙂 But some of my favorites are Psalm 13, Psalm 25, Psalm 42, Psalm 63, and Psalm 103. Enjoy!